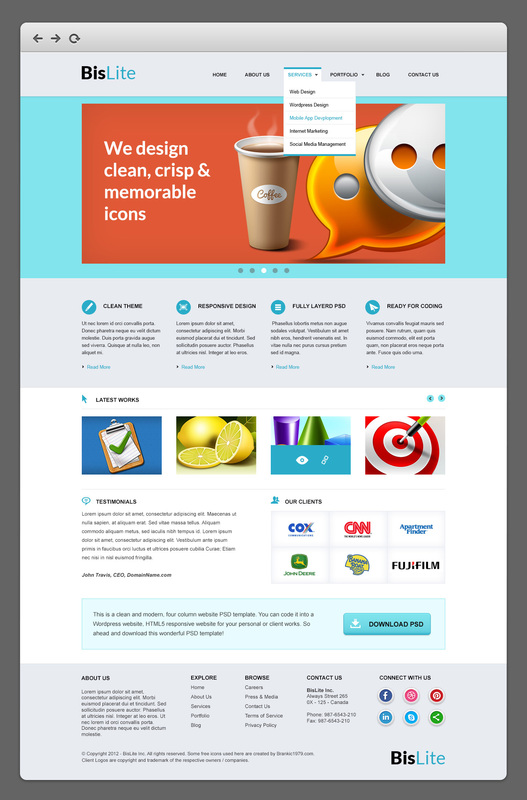 Friends, today's design download is a modern business website PSD template in Photoshop format. 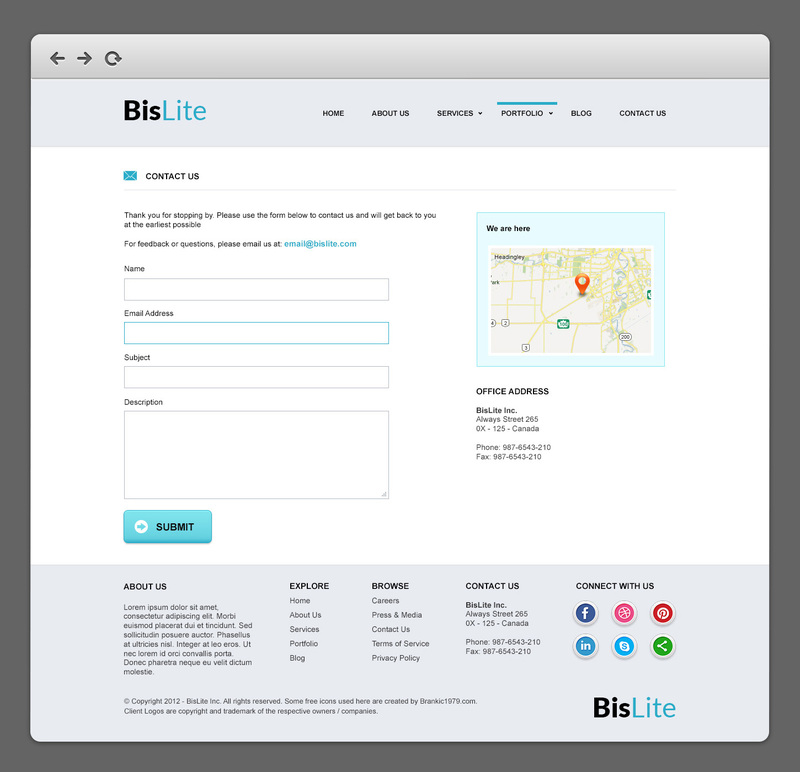 Named as BisLite, the website template comes in three pages -- home, portfolio and contact us. This means there are three PSD files in the zip file. 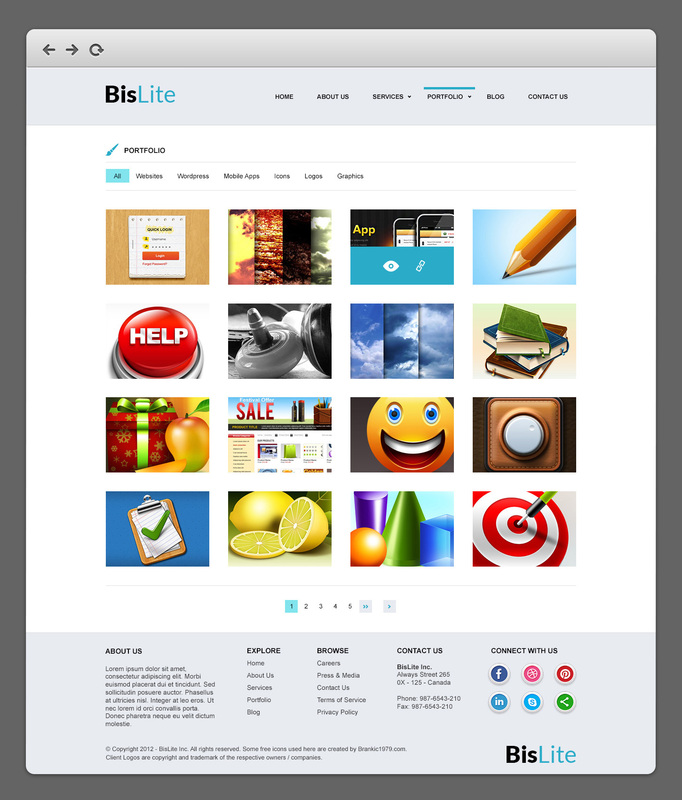 This is a four column template, and you can code it into a WordPress or HTML5 fully responsive website for your business, personal or portfolio need. The download comes in 3 PSD files each of which is created using full shape layers wherever necessary for easy editing. So, go ahead and grab the files at the end of this post and let me know what you think of the design in the comment box. 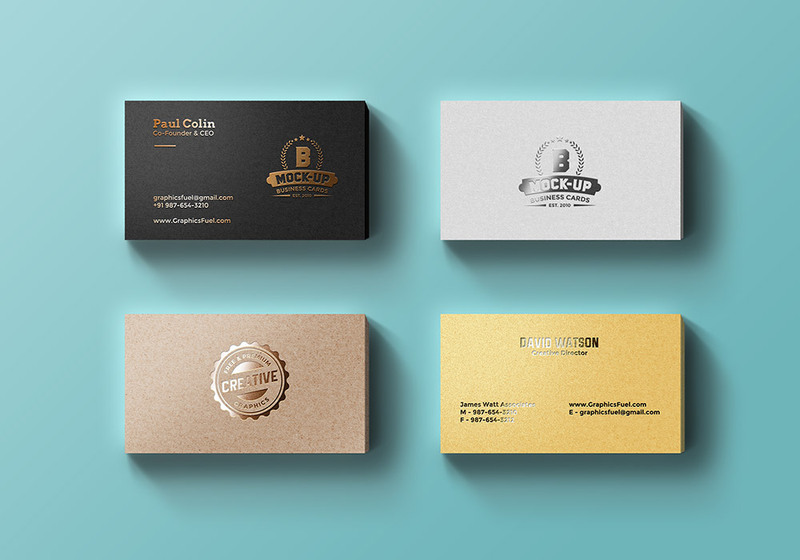 As always, you can use this PSD freebie for both personal and commercial use such as for your clients. In face,a section of wordpress templates would be good too. Thank you guys. Awesome template. Shame not in HTML for us lacking in skills, but a huge thanks nevertheless. Check this out! The coded version. Good work! But they should put this link in the article too, for anyone who doesn’t read the comments! In fact, a section of HTML templates would be good too.